We are really happy to announce we have a new author joining the Pict family today. 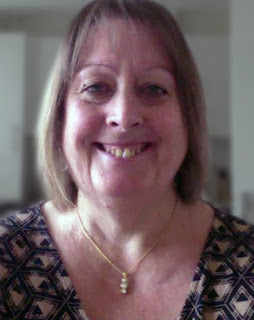 Karen J Mossman officially becomes a Pict author and valued community member as of this morning, and now you can find her info and books across our website, pages and blog. Karen J Mossman comes from a family of journalists with her grandfather and uncle having been newspaper editors. Further back a 2x grandfather wrote for his local paper and also published a book based on those articles. Karen is the only one to go into fiction. Two of her novels are romantic suspense and one is a thriller. She also has three themed short story collections. Karen lives on the beautiful Isle of Anglesey off the North Wales coast with her husband and elderly Yorkshire terrier. She has two grown up children, who were both born on the same day, two years apart. "I enjoy writing in different genres and you can see some of my shorter stories on my website." Joanna tells everyone her mum is dead as it seemed easier that way. She was the only one who could intimidate and frighten her and she’s never forgotten what she did - the horror of being locked in a cupboard and the physical punishment endured. Most of all, Joanna never forgave her for killing her baby. Sister's clash and Joanna and Sandie are no exception. Joanna couldn't even get that right when she accused Sandie of falling for a man who would only bring her trouble. Wasn’t that exactly what Joanna was doing to herself? Finally, her world comes crashing down and she can’t comprehend what’s happened. She needs help, but will anyone be there? Or has she pushed them all away? Dear Diary, Kerry O'Brien has a hot new boyfriend! Yay! His name is Tommy. He’s a biker and he’s gorgeous. He seems to like me too. He makes me feel good about myself and it's been a long time since anyone has paid me that much attention. I also have a monster for a stepfather. But I'm scared, scared Bill will find out about him and scared he will find out about Bill. Tommy's very protective of me and if he ever found out my secret, I think he would murder Bill. Bill started again last night. Jodie and I hid under the bed. I don't want him to ever touch her. Secrets like mine are only whispered about. But the bruises are getting harder to cover and I know once Tommy finds out the truth, He'll hate me and I;m afraid I might lose him. Kelly needs to escape from her abusive and controlling boyfriend, but she's terrified to leave. She's then given a chance to start a fresh, but is the cost for her freedom too high? Why do people go missing? Will they be found? First in the Themed Collection series that looks at missing people and the consequences in 5 fictional short stories. Who are the people behind the music? The writers, the singers and the bands. We know who they are on stage, but who they really? Six fictional short stories set in the past. The burnt out rock star trying to find himself, the local boy made good, the artwork illustrator who has a secret, an interview with a successful female artist, and a fairy tale with music at its core. Heroes are not always the traditional man on horseback coming to rescue a maiden in distress. They can come in many guises and sometimes they come from within ourselves. Here are nine very different short stories about heroes.